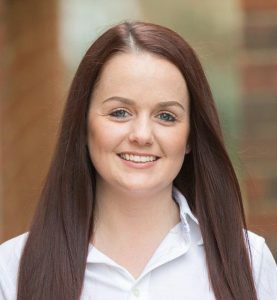 Emily joined Portmore in November ‘17 as our fulltime receptionist, having previously starting her career in corporate dentistry. Emily has a strong customer service background and has relished using these skills at Portmore. She is also looking forward to taking an active part in our ongoing growth and development of which customer service will be key. Emily loves to chat to our patients both on the phone and in person, she is calm, friendly and goes out of her way to make all the patients feel very welcome. Outside of work, she love’s going on long walks with her dog, Barney. Her favourite walk being Virginia Waters. She also enjoys going out and socialising with friends.